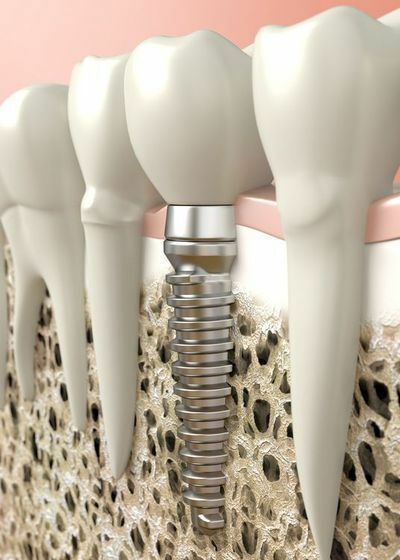 Dental implants have a reputation for being one of the most robust and long-lasting tooth restoration solutions. Many patients have their implants for years, some even last for the rest of their lives. However, their durability isn’t something that should be taken for granted. Proper care and the right professional attention is essential if your dental implants are going to remain in top cosmetic and functional condition. What can I do at home to ensure the longevity of my dental implants? Although dental implants are completely artificial, meaning that they cannot develop any cavities, you will still need to maintain a robust daily brushing routine. Brushing your teeth for the recommended minimum of two minutes twice a day, as well as daily flossing, can help to remove any food debris and bacteria that can attach itself to your teeth and gums. This will help your implants remain clean and healthy, as well as protecting the wellbeing of your other natural teeth and your gums. Using a fluoride toothpaste and mouth rinse will also give extra protection against decay-causing bacteria. Gum health is particularly important for patients who have dental implants. This is because periodontal disease, the severest form of gum disease, can cause gum recession and bone loss. When the jaw bone becomes compromised, it can cause the titanium post supporting the implant to weaken and even come loose. This is known as peri-implantitis and is the leading cause of implant failure. Peri-implantitis can occur at any point, and so it is essential that the patient follows a stringent oral healthcare routine and attends all appointments with their dentist. After you have received your dental implants and completed the final stage of the procedure, we will give you a timeline of follow-up appointments to attend. The first will be within 10 days of having your implants put in place, and will allow your dentist to check the progress of your healing, and remove any sutures that you may have. After this appointment, you will need to attend regular check-ups so that your dentist can continue to check how your implants are healing, as the entire process can take a number of months. As time passes, your check-ups will become less frequent, until they can become integrated with your usual 6-monthly examinations. If you change your dentist or hygienist at any point, you should advise your new caregivers of the location of your implants, so that they can be properly cleaned and monitored during your regular preventative care. We will give you specific advice to follow after your dental implant procedure. You should adhere to these guidelines, and schedule an appointment immediately, if you have any concerns about the health of your dental implants.